The book of Joshua tells of Israel's invasion of Canaan and its military conquests. This commentary is rooted first in a thorough analysis of the Hebrew text, employing helpful insights from archaeology and linguistics, and second in the major theological and literary themes discovered in each section. Finally the author brings the fragments together in an expository treatment 'that is not ashamed to stoop to the level of application'. 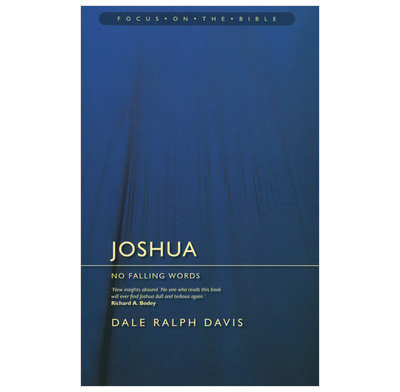 Dale Ralph Davis' commentaries are very helpful in explaining parts of the Old Testament that often Christians find difficult or inaccessible.